Think of a rental bike in South Africa, and a BMW R 1200 GS probably springs to mind. Or, for true overlanders, a bulletproof Japanese 650. 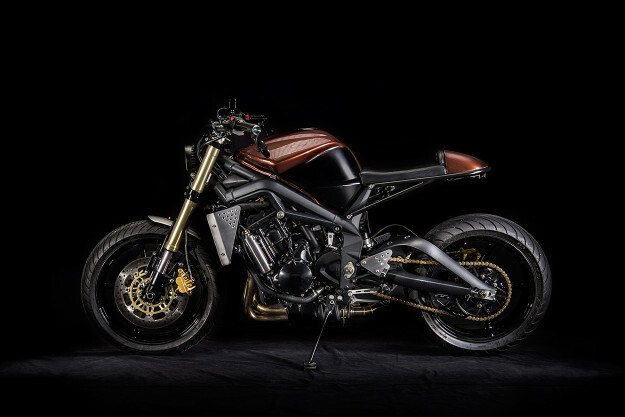 But we’ll take this custom Triumph Street Triple, thanks. 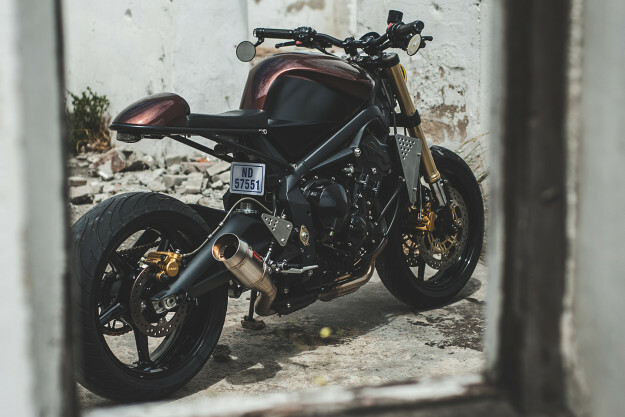 It’s the first rental custom motorcycle we’ve heard of, and it’s available right now in picturesque Cape Town. 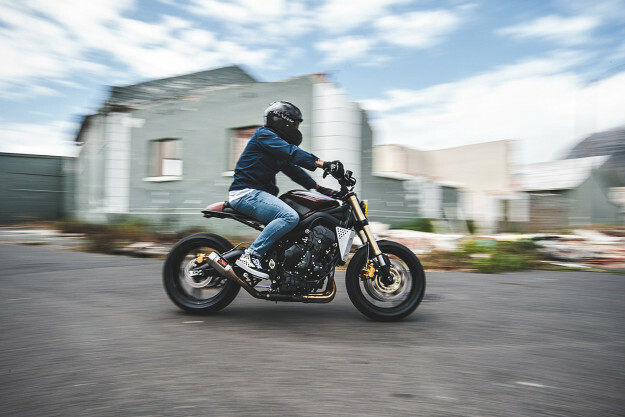 This ripped little number comes from Wolf Moto, who have just moved shop from the east to the west coast of South Africa. 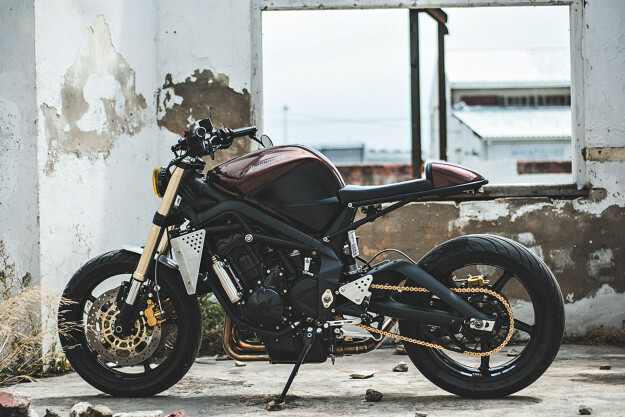 It’s ready to tear up Cape Town’s mountain roads, and terrorize her street-side cafés. 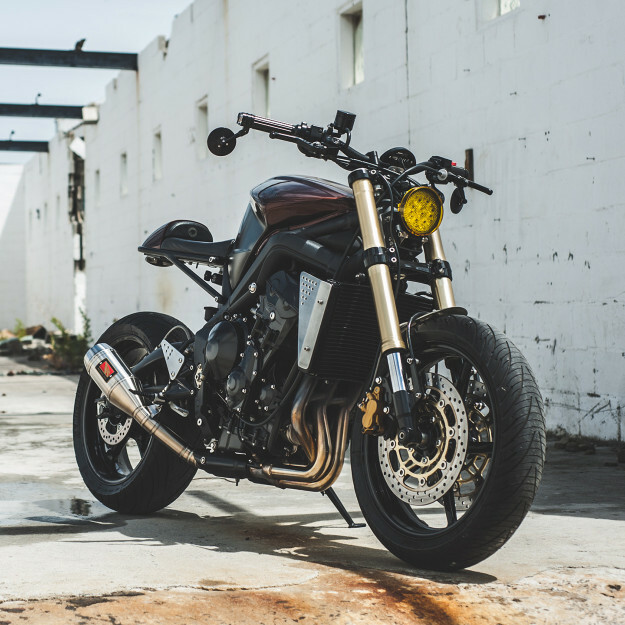 The 2008-model Street Triple has long belonged to Wolf front man Kyle Scott. After a brief interlude with a friend, it made its way back to the shop and onto the bench. With the front looking tidier, the bulbous, sportbike-style tail section had to go. Wolf fabricated a sharp new bolt-on subframe, capped off with a hand-shaped bum box. There’s a small AntiGravity Lithium-ion battery hiding under the hump. The seat itself is covered in leather, with a neat Wolf logo embroidered into the back pad. It’s a pretty slim perch—but we have a hunch that this Street is built for hooliganism rather than distance. 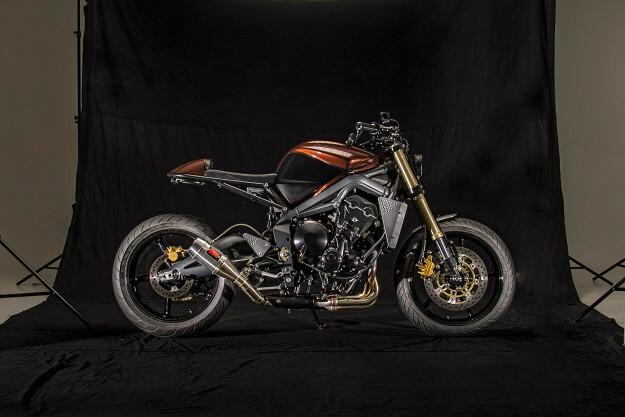 The Competition Werkes three-into-one exhaust is joined by a K&N hi-flow filter, a Light Tech rear sprocket and a new fuel map. All to make the Triumph an even more spirited ride than it already is. 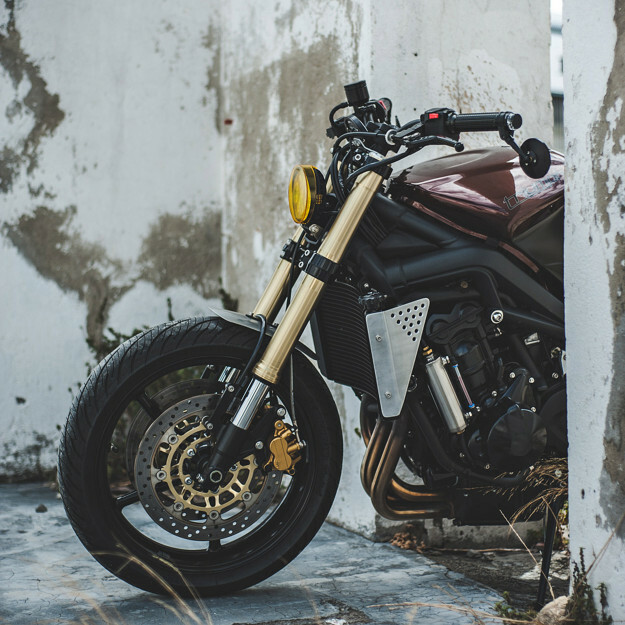 Given the Street Triple’s popularity, there’s no shortage of aftermarket parts available for it. And Wolf have thrown the best of them at this project. The handlebars, risers and front brake reservoir are all Rizoma parts. 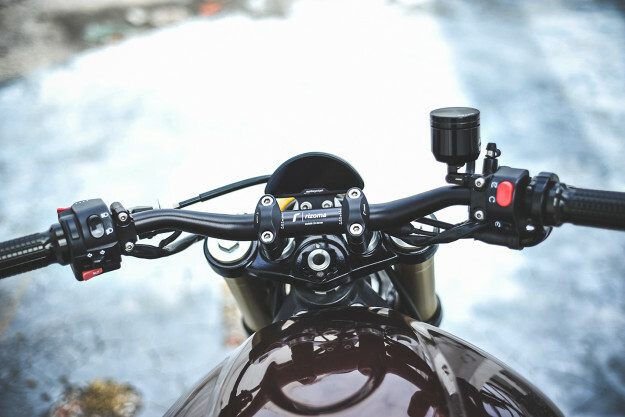 There’s an upgraded Nissin front brake master cylinder, a British Customs rear brake master cylinder, and Pazzo adjustable levers. The gas cap’s a billet item from Oberon. Motogadget’s catalogue was also consulted. 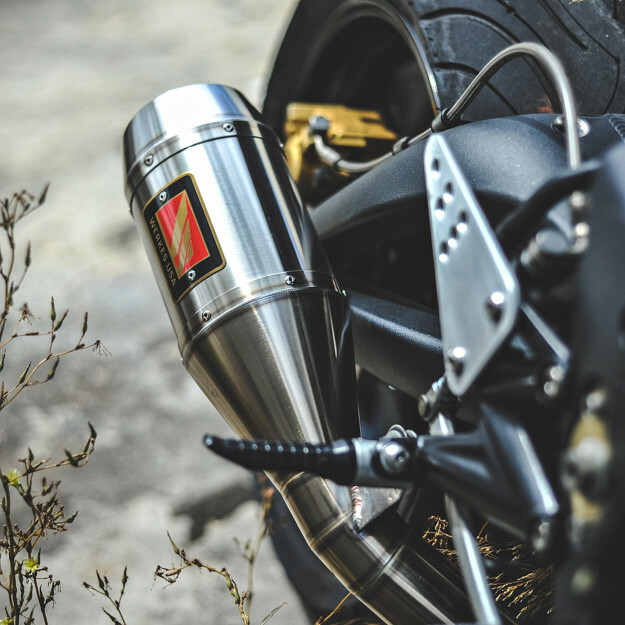 The billet aluminum grips, bar-end mirrors and turn signals, and digital speedo all come from the German company. Kyle and his crew handled the finishing touches in-house. Note the hand-made, brushed aluminum heel plates, radiator guards and front fender. The stainless steel coolant overflow bottle is a one-off too. If you’re reading this and thinking, “Boy, I’d love to ride that,” you’re in luck. 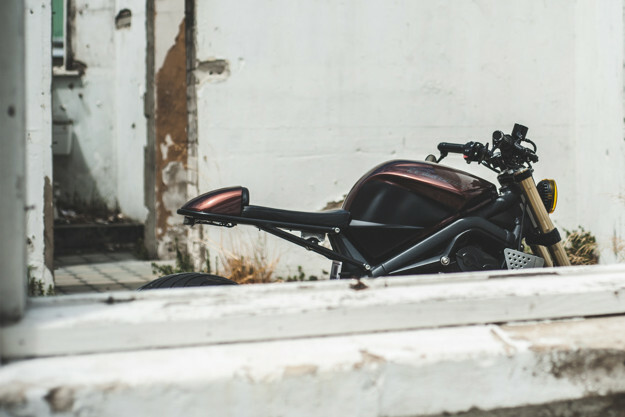 Wolf Moto have partnered with their mates at the Woodstock Man Cave, and they’re running a small rental fleet of customs and modern classics. Ardent Racer is the flagship. We’ll report back once we’ve had a burn along Chapman’s Peak drive.